Man­i­to­ba Music is team­ing up with live music hot spot The Good Will to shine a spot­light on emerg­ing local music. New Music Night offers music fans a space to find their next favourite Man­i­to­ba act and get a month­ly dose of new orig­i­nal artis­tic tal­ent. 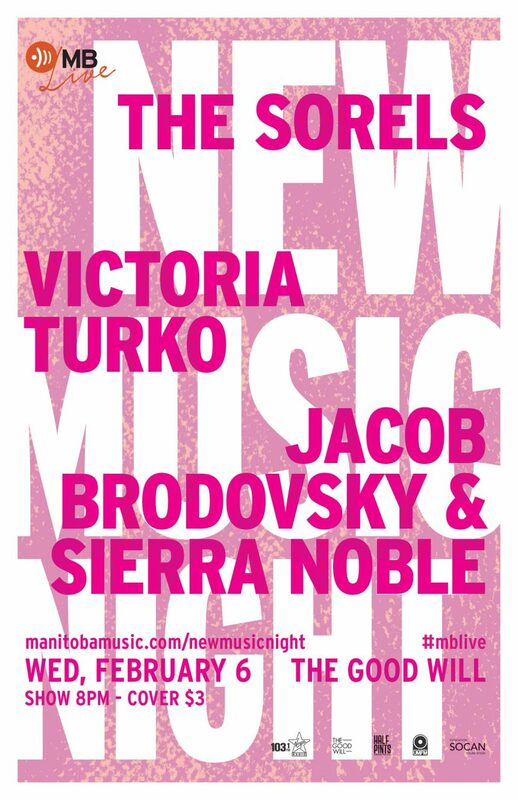 The con­cert series, which fea­tures three acts the first Wednes­day of the month at the Win­nipeg venue, is an incu­ba­tor for new bands in Manitoba’s vibrant music scene, offer­ing per­form­ers from any genre an oppor­tu­ni­ty to get on stage, con­nect with fans and the local com­mu­ni­ty, try out new mate­r­i­al, and per­fect their live show. Man­i­to­ba bands and artists look­ing to apply can sub­mit to be a part of New Music Night. For details, vis­it man​i​to​ba​mu​sic​.com/​n​e​w​m​u​s​i​c​night.